„The Government of the Republic of Moldova does not verify the activity of private accounts on social networks that belong to its employees”, the Moldovan Government has stated in a reaction to Facebook’s decision to block hundreds of accounts and tens of pages that were administrated by governmental employees. „Regarding the comments or the posts that were created by employees of public institutions, we want to specify that there are over 200 000 employees that are paid from the state budget, and the Government of the Republic of Moldova does not verify the activity of its employees’ private accounts on social networks. Moreover, they all have different political options and opinions, and the state is obliged to maintain the boundary between the fight against fake news and assuring the freedom of speech of the people”, said the Government’s statement. 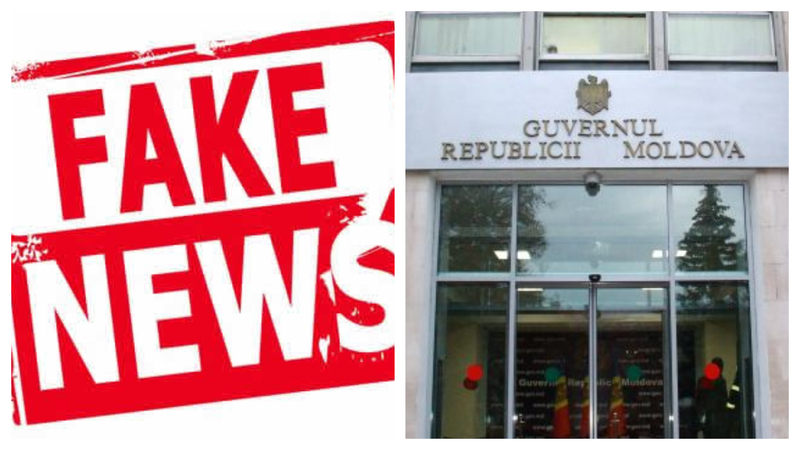 The Government led by Pavel Filip has also announced that it will request supplementary information from Facebook „in order to fight the Fake News phenomenon”. 168 Facebook accounts, 28 Facebook pages and 8 Instagram accounts, which were promoting fake news and were, in some cases, administrated by employees of the Moldovan Government, have been blocked by Facebook. According to a press release from Facebook, some accounts were administrated by real persons, whereas some were managed by persons using false identities. „Given the upcoming elections in Moldova, we wanted to let people know about the action we’ve taken and the facts as we know them today”, says the Facebook statement. The social network specified that the administrators of the blocked pages and accounts were especially posting information about politics. 54 000 accounts were following at least one of the Facebook pages and 1 300 accounts were following the Instagram accounts that have also been blocked. Those who have posted the information have spent 20 000 dollars on advertising, in Romanian leu, euros and US dollars. „They have also shared manipulated photos, divisive narratives and satire and impersonated a local fact checking organization’s Page that called out other Pages for spreading fake news. Although the people behind this activity attempted to conceal their identities, our manual review found that some of this activity was linked to employees of the Moldovan government”, Facebook said. Among the blocked accounts were tens of real accounts, which belonged to some members of the Democratic Party, especially those in its youth organization. DW: Petrol contra suveranitate. Va deveni Putin președintele unui nou stat, ruso-belarus?